We are proud to offer this emergency and survival tool kit with important life saving tools for use during and after an emergency. 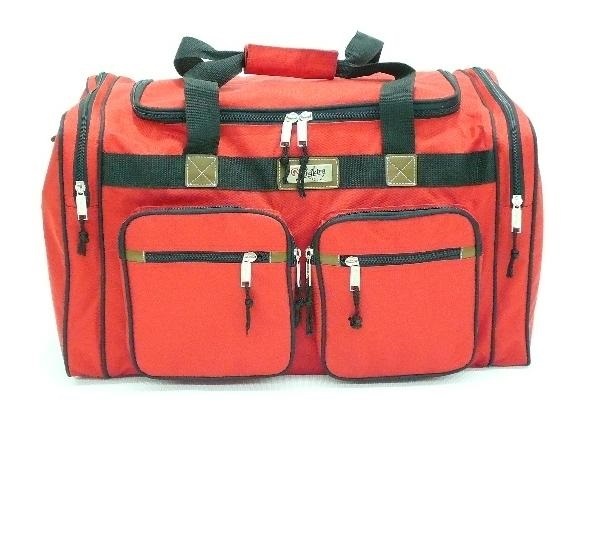 Our latest tool kit comes packed in a roomy 26 inch red/black duffel bag with large double-zippered opening. When you first receive this survival tool kit, all of the contents are packed and organized in 4 individual carry boxes for protection during shipping. You have the option to leave the items organized in those boxes or remove them which will allow you to gain more space inside the duffel bag for items you might want to add. 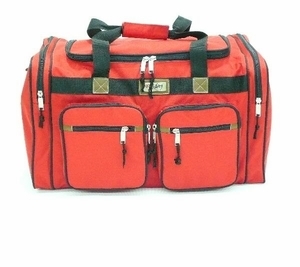 Please note, that only the main compartment is packed when we ship this kit, the four exterior pockets are empty and available for your personal items as well. 1 - 14 function multi-tool with pliers, screw driver, knife and more.